Canoeing starts from Türi. One-day canoe-trip with length of 22 km ends on Kurgja. 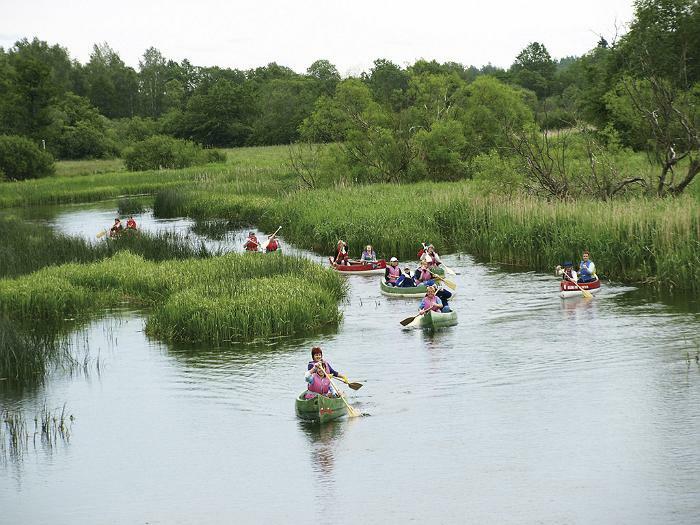 Two-day canoe-trip ends on Suurejõe or Vihtra. On C. R. Jakobson’s House Museum territory we have a nice camping place on, possible to pre-order meals. 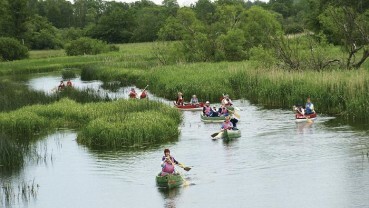 The river is relatively straight, calm, with some rapids and mill dams – suitable for beginners. Against mosquitoes and other bugs we recommend to take with appropriate chemicals and other repellents. Suitable are clothing designed for sailing or a similar water and wind resistant suit or jacket and pants. For footwear we recommend rubber boots. Gloves should be thick and warm, possibly also water resistant. We recommend ski or snowboarding gloves, or other warm gloves. But the best are special neoprene gloves used for diving and water sport. The price includes a place in a canoe, life jacket, paddle, training, on-site transportation. Children on parent’s canoe for free. Children up to 16 on rower seat at half price. NB! We recommend that you bring a change of clothes. We recommend using waterproof packing for exchange clothes.